Chandara defines itself as a fine dining Thai restaurant. In setting the tone, it is evident from when you walk in to Chandara, you will see only clean, modern designs from their display of precious and authentic Thai sculptures and original carvings to their unique chandeliers (made from upside down tulip glasses) hanging on the wall.All these elements add an aura of luxury; the decor is indeed a fine dining experience for the eyes. When you think of Thai food it is a given that you have to order two of their most famous dishes as appetizers - Mango Salad and the legendary Tom Yam Goong. At Chandara this mango salad dish is called Yam Pla Duke Foo. Why such a long name for a simple dish? This is because it serves deep fried catfish with the salad. The zesty lemony slices of sour mangoes together with the fresh chopped shallots go oh so well with the crunchy peanuts and deep fried catfish. The dressing is so well balanced that this dish is simply the best way to start your meal here. If you are feeling a bit adventurous, you must try their Spicey Pomelo salad with deep fried soft shell crab. Unique and just oh so scrumptious yet again. The slight bitterness of the pomelo with the dried chillies and deep fried garlic and crabs and its overall combination of these ingredients, just makes this dish nothing short of perfect. As for their Tom Yam Goong dish, I must say compliments to the chef for thinly slicing the lemongrass instead of just chucking the whole stalk in the dish. By thinly slicing the lemongrass, this gives so much more flavour to the broth and alsomakes fora crunchy delight when you drink this broth. And a second round of compliments as well to the chef for not being âï¿½ï¿½stingyâï¿½ï¿½ in the servings of champignon mushrooms, prawns and lime leaves in their tom yam. Nothing is more depressing than to have a tom yam that has very little floating about. Feeling a bit bold to try something different? Then you must try the Miang Kram, which is composed of dried shrimps, a small wedge of lime with shredded coconut and peanuts sitting on a bed of fresh thai beetle leaves. You have to carefully fold the leaves, wrap and dip them in the melted sugar cane dip before you devour the whole meal in one go. You will experience the most awesome burst of flavours and textures in your mouth. And then, when you will hit the whole big chunk of chillies hidden between the lime and shrimp, expectan awesome burst of fireworks in your mouth. Nevertheless, a very unique dish that can only be found at Chandara.We recommend you order a glass of their cold mango mojito before the firecrackers are about to start. For the main, we recommend the Roast Duck Red Curry with longan, lycee and pineapple. You cannot go wrong with this dish as there is nothing we Indonesians love more than a sweet and spicy combination. Oh by the way, this dish isall soaked in a rich coconut based broth which not only gives a rich texture but also an amazing depth of flavours. We also recommend any dish with Seabass at Chandara. It is the freshest dish available as the fish is all alive and kicking minutes before it is served. The Pla Krapong Sam Rod is a must try an consists of a whole seabass, deep fried with a sweet and spicy sauce. Stunning on the eyes and especially more stunning to your sense of taste. Overall it is not suprising that the owner of Chandara has 8 other commercially successful Thai restaurants in Indonesia. It can be guaranteed that Chandara will be a sure bet, especially since it is the first fine dining restaurant of its kind in Jakarta. Half of the ownerâï¿½ï¿½s private Thai antique collections pieces are displayed in this fine dining venue. These antiques are specially flown in from Thailand Andare over a century old. 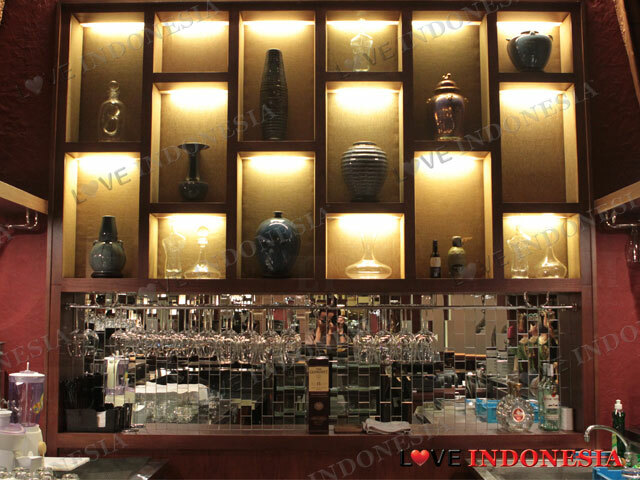 Chandaraâï¿½ï¿½s motto is âï¿½ï¿½The not so ordinary Thai Restoâï¿½ï¿½ they sure got that right, because this place is just extraordinary! 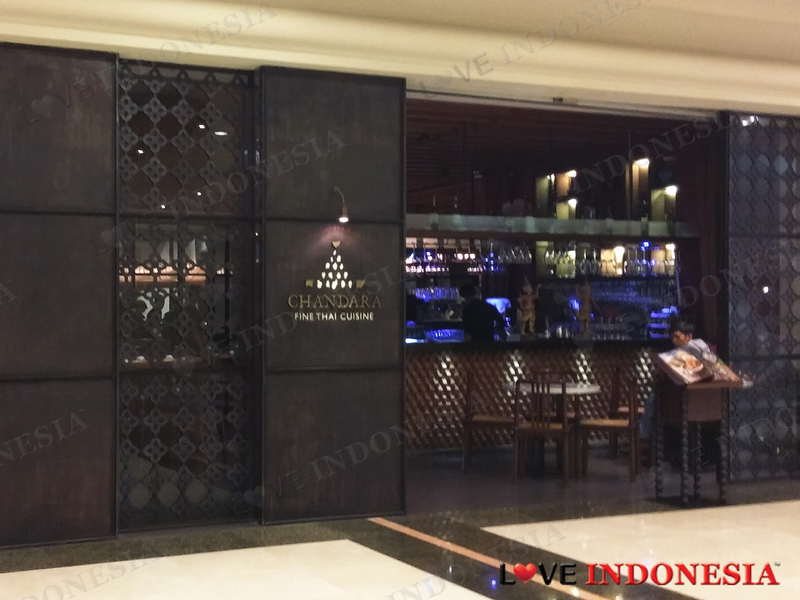 What is near "Chandara Fine Thai Cuisine"?